The half bath is almost ready for its big reveal! I've been back and forth on the artwork and have one more thing to do on the lighting, and then it will be ready! Hopefully I can have it up this week. It's so nice to have one room done. My kids love it. My 4-year-old cracks me up and keeps asking why we made the bathroom so pretty?? And my 6-year-old sighs every time she goes in, "I LOVE our bathroom, mom." Melt. Me. Today, I thought I'd share my basic curtains with you. 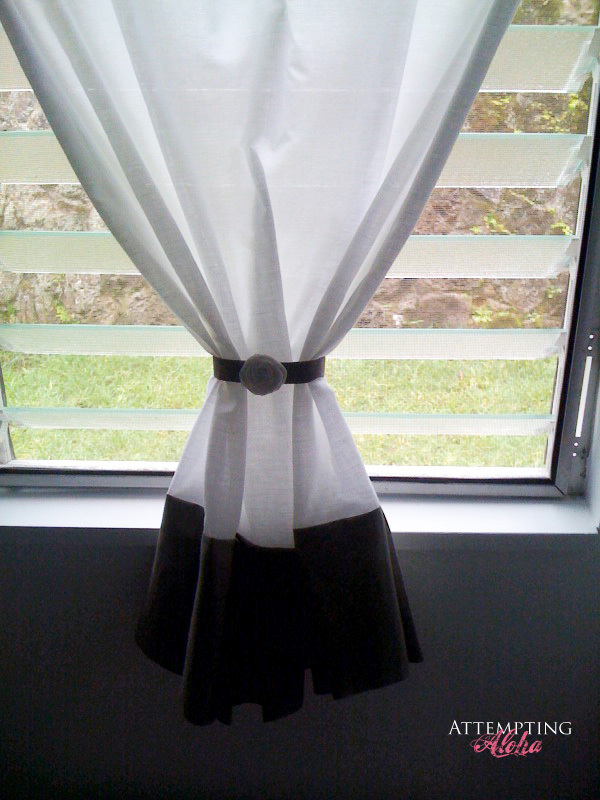 I'm not sure I'll ever be able to purchase curtains since I'm a cheap-o, and they're truly SO easy to make. The hardest part has been just deciding how I wanted them to look. 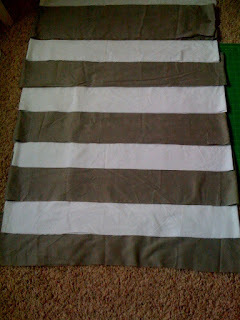 If you follow me on Facebook, you may have seen my picture with the two different fabrics laid out in stripes. I had originally planned to do the curtains as stripes, but when I got the first row of pleats on, I put it up to test lengths and mad a sad realization...these curtains will pretty much NEVER be closed. 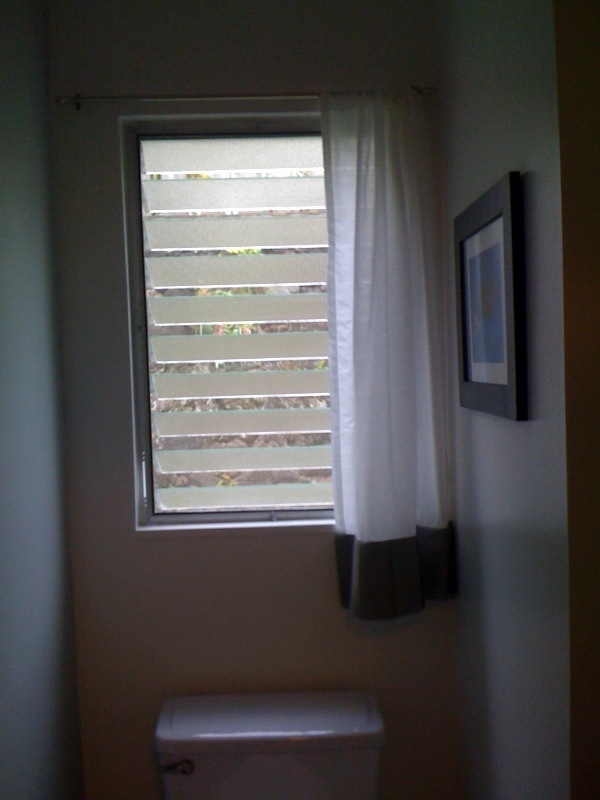 The windows are jalousie windows, and you can't see in, even when they're open unless you are directly below them, and even then, you can only see the top 3/4 of the room. 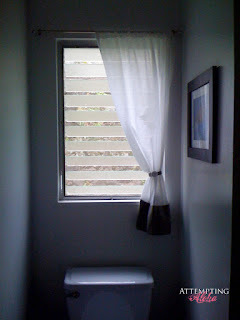 The pleated striped curtains would be lovely when opened fully, but when they're tied to the side or in the center, the pleats mostly get lost. 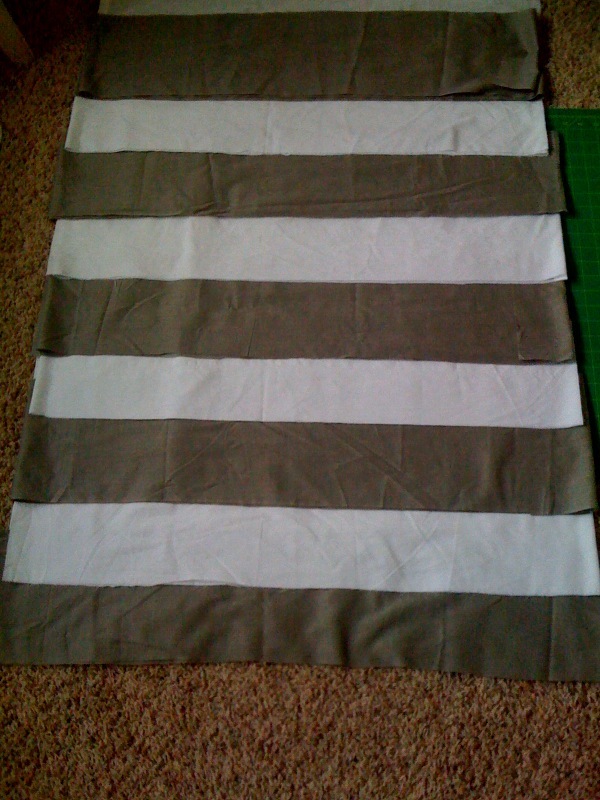 So it would have been extra work for something I couldn't really enjoy... :( So I decided to save the striped idea for a different room and just kept the one row of pleats at the bottom. Here's a basic tutorial in case you decide to do some of your own. 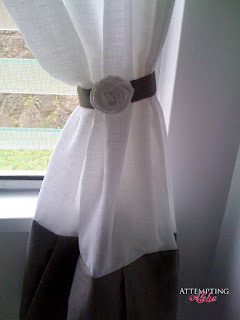 Step 1) I found it very helpful to hang the curtain rod first. That gave me a better idea of how wide I would want my curtains. Then make your measurements for the curtains and add 2.5" to the width and 3.5" to the length. For the fabric, I actually used a king-sized bedskirt I scored at a thrift store for $1.00. So for the tiny corner I used to make this curtain, it cost me around $.20. Awesome. 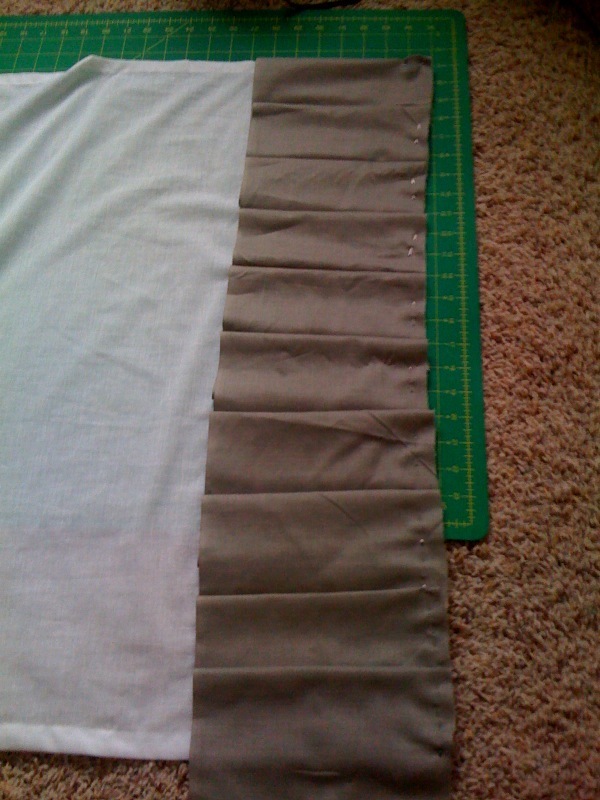 Step 2) Decide how tall you want your pleats to be. 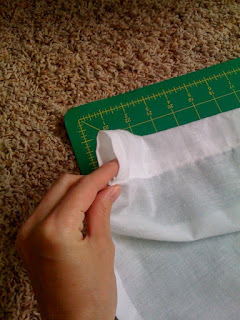 Add about 3/4" for seam allowances. The width will need to be 3x the width of your actual curtain. 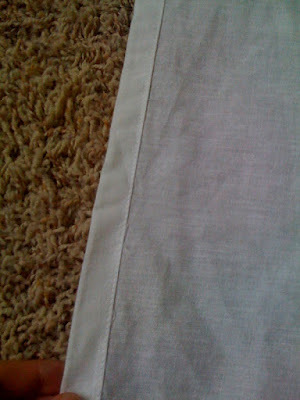 Step 3) Finish the sides of your curtain by turning them in twice and doing a quick stitch down the edges. I'm not a pinner, but I find it helpful to iron them down before sewing. My lines stay much neater this way. 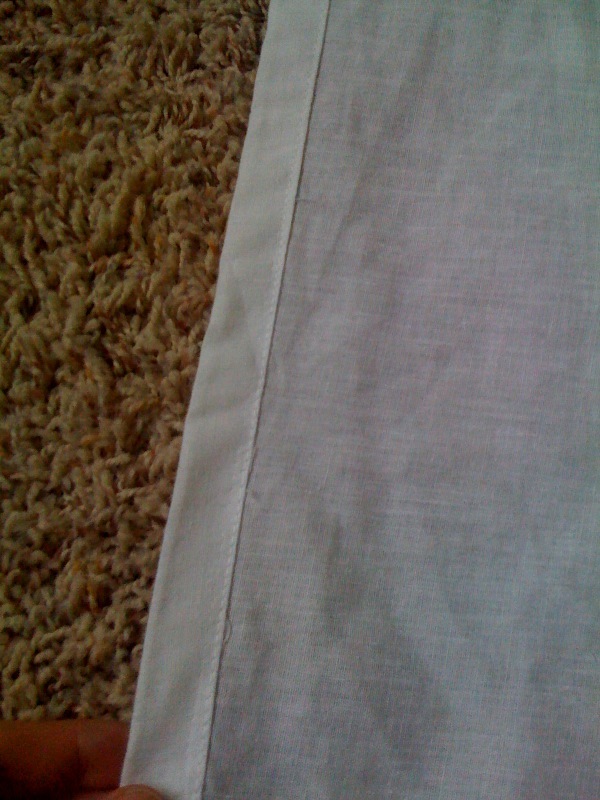 Step 4) Finish the bottom edge the same way. 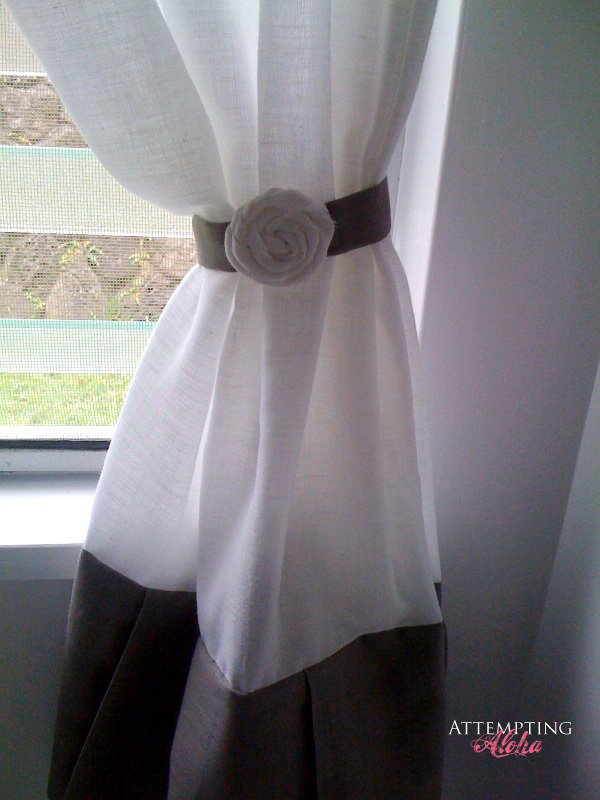 For the top, be sure you fold it down far enough to allow for your curtain rod to fit through. 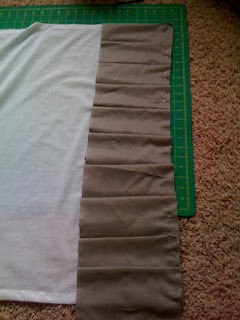 Step 5) Use my tutorial on pleats that I made for my pleated basket liner. 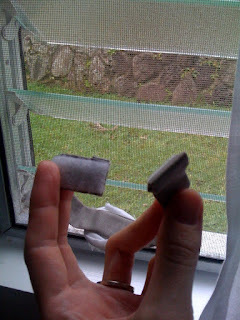 Step 6) Make some kind of tie-back. I just used the same fabric I used for the pleats and made a basic binding tape by folding two sides in and then folding them together (so no raw edges were shown) and then used an iron-on hook-and-loop (Velcro) at each end. See what I mean about losing the pleats when they're pulled to the side? Are you sick of pleats yet? I have another pleat project ready to post, 'cause I'm loving them! Very cute, you're so thrifty! I'm loving pleats also. I have always been scared of pleats, but you make it look easy! Pleats are a great idea, and the tie back is just precious! 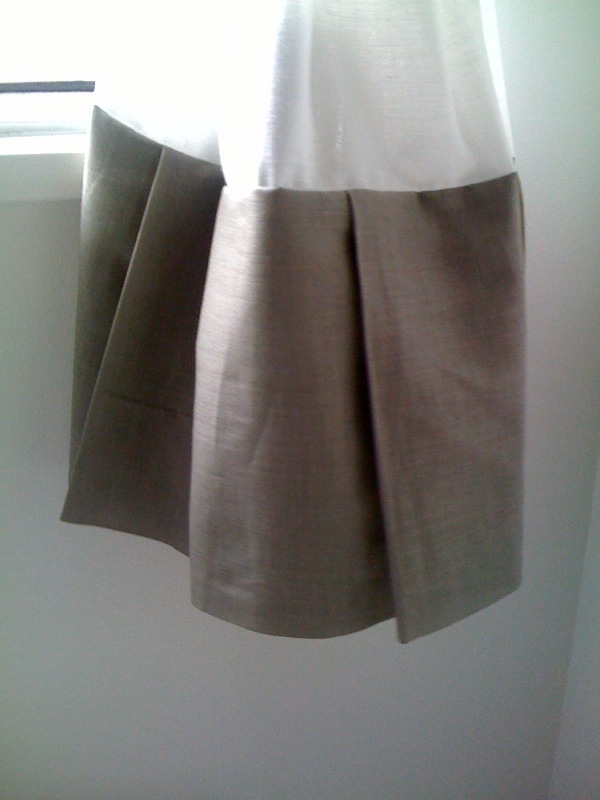 I'm NOT sick of pleats! You've made me want to pleat something!!! Wonderful and I just love the neutral colors together....wonderful project! Very cute! I'm looking to make a boxed pleated curtain for our bathroom in the upcoming weeks. Cute curtain. Love the pleats! I love your blog and am your newest follower! Thanks for the great tutorial and curtain inspiration. Hi there! I just found your blog from the Crafterminds tweet chat! So nice to meet you!!!! I am also your newest follower. Have a great week! Hello again! I always enjoy your posts and tips. Your blog is full of fun ideas and doable inspiration which I love and appreciate! I'm highlighting Attempting Aloha on my blog today. I'd love it if you checked it out! I found your blog while looking for something fun to do with a lamp for my daughters room... that was 45 mins ago! LOL I am really enjoying your writing and tutorials! Thanks for all the upbeat fun stuff! 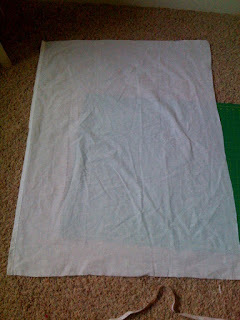 OMIGOSH...I offered to make my best friend curtains for her potential (adopted) child's nursery a YEAR ago. We're just now getting around to planning to shop for fabric. I am SOOO glad I found this post so I can print the pic and show her. I think she's going to LOVE it!